Stubby Smith's claim is in a hillside overlooking one of the many creeks of the central Colorado Front Range. Indeed the hillsides all around the creeks are filled with mine shafts as men desperately look for gold and silver. Stubby has been luckier than most and has made a little money on his claim, but like all the prospectors, he is still looking for that rich vein that will make him a wealthy man. 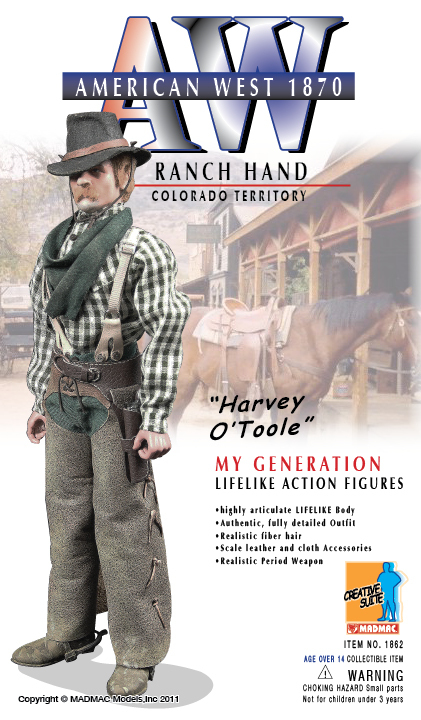 Harvey O'Toole, an Irish immigrant, is a Ranch hand at the "Bar None" Ranch on the outskirts of Broken Springs, Colorado. The ranch owner provides Harvey's horse and tack, food and board and a generous paycheck of $25 a month. Harvey uses pretty much all of his wages on drink and cards at the local saloon. 10 gauge for keeping folks honest. But he wears a double rig holster to reinforce that reputation with the locals. The town has a small jail and the circuit judge is around every other month to hear cases that come up. 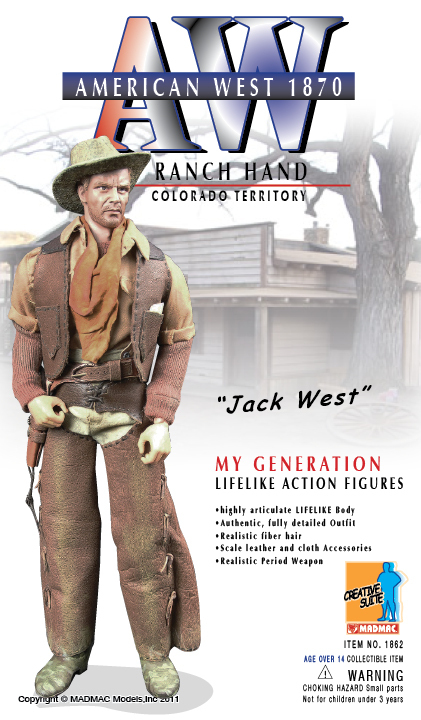 Jack West, who has a famous brother named Johnny is a ranch hand at a neighboring ranch to the Bar None. The "Lucky Lady" ranch was named for the owner's daughter Lucy, who ran away and became a dance hall headliner in Denver. Jack has been at the Lucky Lady since he was a teenager and recently became the foreman of the ranch. 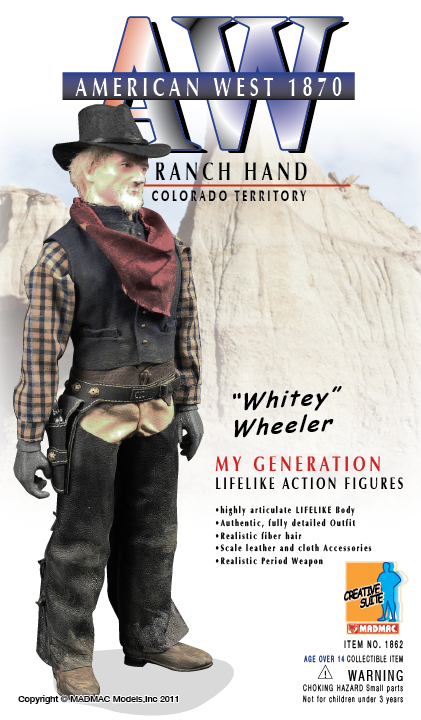 Whitey Wheeler is a ranch hand at the Lucky Lady and works for Jack West. But truth be told, Whitey is probably headed for the gallows some day. Rumor is that he killed a man in El Paso, but no one can prove it. He is trouble with a capital T and you don't want to get on his bad side, especially if he has had a drink or two. 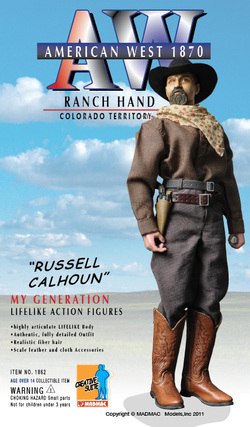 He is a hard worker out on the range though and carries his weight for the ranch. 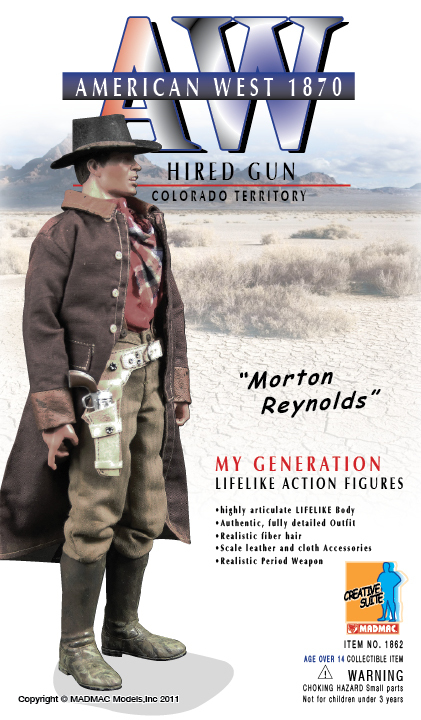 Morton Reynolds is a drifter, a gun for hire, a smuggler and who knows what else he does. He shows up in town every once in a while, stirs up a little trouble, but never sticks around long enough to get arrested. They say he is fairly fast with a gun, but no one really knows for sure. Occasionally he will do a bit of honest work, but only when he really is hungry and can't find another way to get a hold of some money. He prefers playing cards. 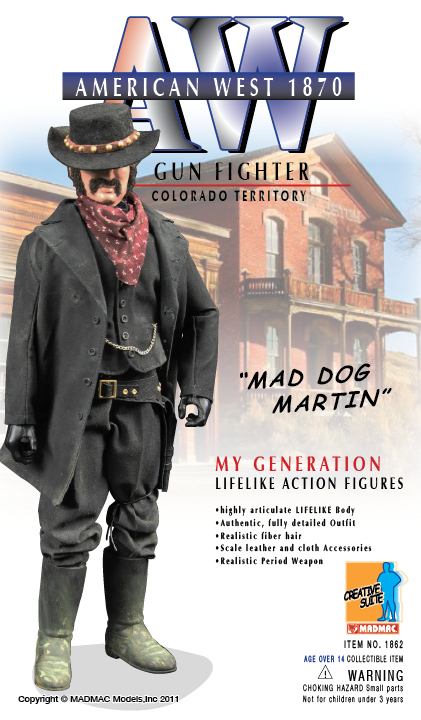 Without a doubt, the most dangerous man in the territory is "MAD DOG" Martin, an infamous gun fighter from the Texas panhandle. Martin has killed no less than 20 men in duels. He sometimes works as a lawman or a bounty hunter and always manages to stay just enough on the side of the law that he doesn't end up in jail. But everyone who has been around him will tell you that he is ruthless and without mercy. You don't want to end up on the wrong side of his gun. A former slave, Robert E. escaped the south and headed west to start a new life. 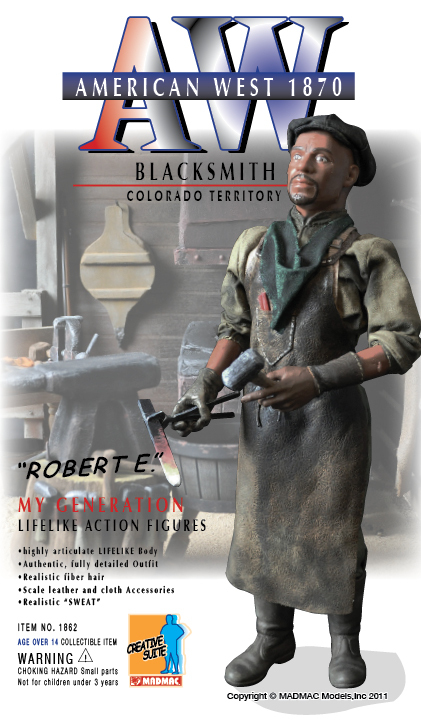 He brought skills learned in his harsh life as a slave and worked a variety of jobs until he could start his blacksmith business. He has never known anything but hard work, but now as he toils each day in his tiny shop, he is working for himself and a new way of life. He has gain a reputation as an able blacksmith, who does right by his customers and charges a fair price. It's a start. Johoshaphat A. Bell is the son of famed grocery man, John Bell, who first opened his Broken Springs General Store in 1857. Johoshaphat is a leading citizen of the town and is on the town council. His market sells everything from fresh vegetables to women's fashions. He supplies the whiskey for the town saloon and is the only source of building materials and more than one person has said that his prices reflect his monopoly. Daniel Jacks is the owner of the Lucky Antler Saloon. The saloon sells a large assortment of Liquor, Wine and Beer as well as "other" things. "Jacks" is the place to play some poker in Broken Springs and it is filled to capacity each and every evening. Jacks came from back east somewhere, nobody really knows his story and he aims to keep it that way. It is rumored that he made the money that he opened the saloon with from a bank robbery in Ohio, but no one has every been able to prove it. It is also said that he waters down his drinks to save money, but no one has ever caught him at it. Gunfighter Vic Castle, who goes by the alias of "The Colonel" was an officer in Jeb Stuart Black Horse Cavalry. 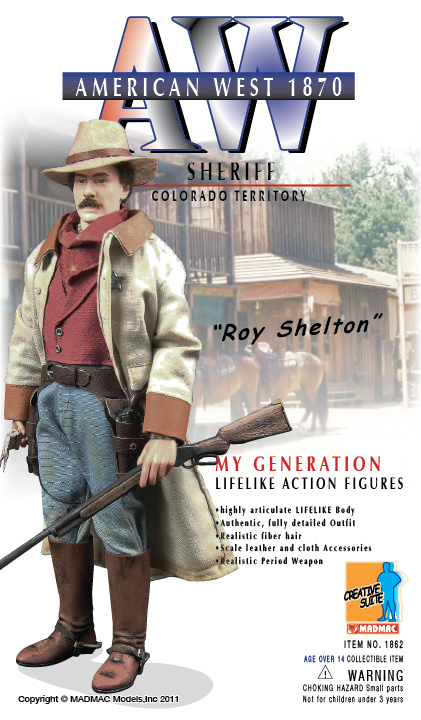 After the war, he headed west, making a name for himself as a gunfighter and bounty hunter. He has collected bounties on over 50 felons over the years and his draw is legendary. He shows up every once in a while in Broken Springs to play a little poker and glean a little information from the Sheriff. Stan Elliot is the Ranch Foreman at the Bar None Ranch. He has had that position for about 10 years. Known as a first class cattleman, he is hoping one day to start his own ranch. He has a little land to the north of town, but is still working to procure a small herd of cattle. The owner of the Bar None, Samuel Bar has promised Elliot some cattle if he will stay on another 5 years and Stan will probably do it as cattle don't come cheap. Russell and Timothy Calhoun are brothers from Texas that work for Stan Elliot. Russell is the best roper and plays the guitar and sings a bit. 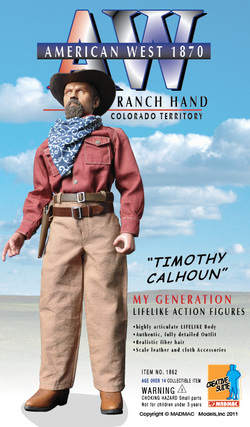 He is a favorite with all the ranch hands. Timothy is the best bronc buster and so the brothers are kind of a complete package. Timothy likes to play cards and get into wild bar fights. He has a bit of a temper.